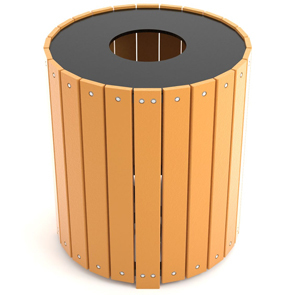 Recycled plastic large capacity round trash receptacle ready to solve your high volume 32 and 55 gallon waste receptacle needs. The durable recycled plastic slats are available in the Resinwood color options of cedar, green and gray. Optional plastic liner is available.